Even though you try really hard to make the pencils in your classroom last, you still find yourself with a pencil shortage every year. Here are some ways to tackle the age-old disappearing pencils problem that has been vexing teachers for decades. 1. 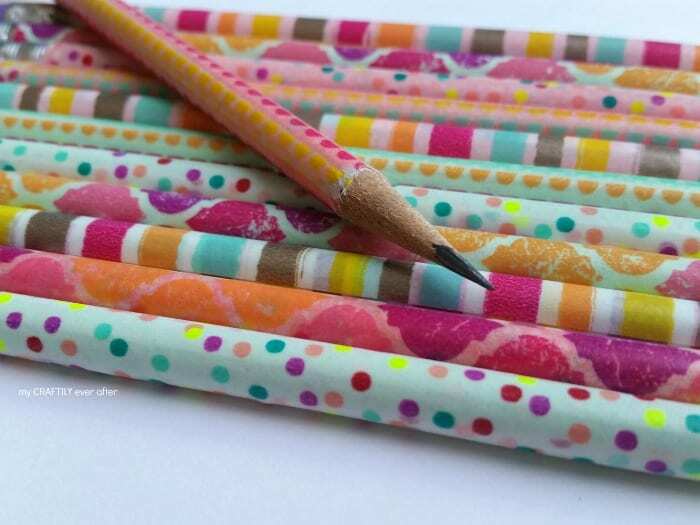 Decorate pencils with washi tape. 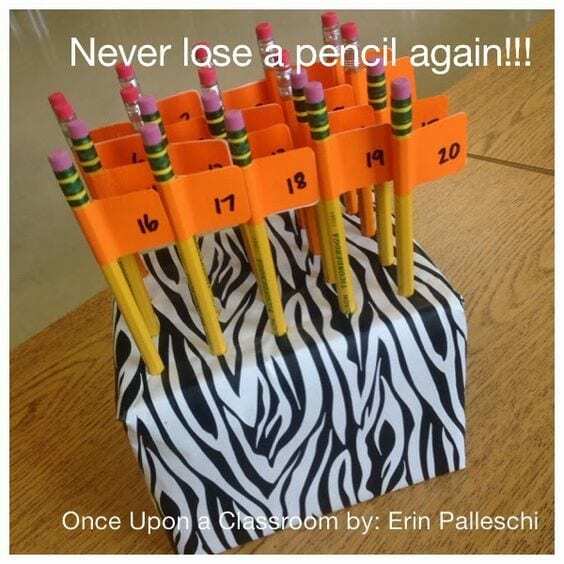 Use washi tape to let students customize their pencils. By letting them put their own stamp on it, they’ll take more ownership of the pencil. And then, in theory, fewer pencils will be lost. Fingers crossed! 2. 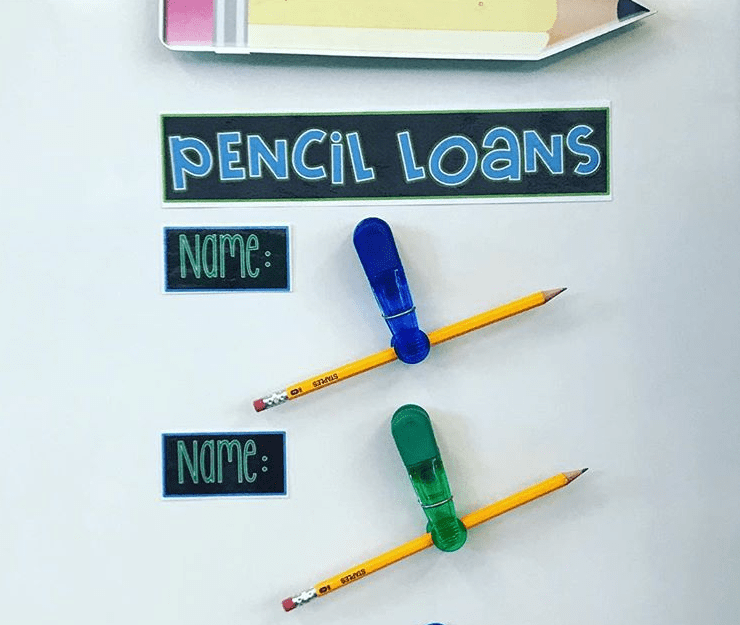 Use magnets to create a borrowing station. 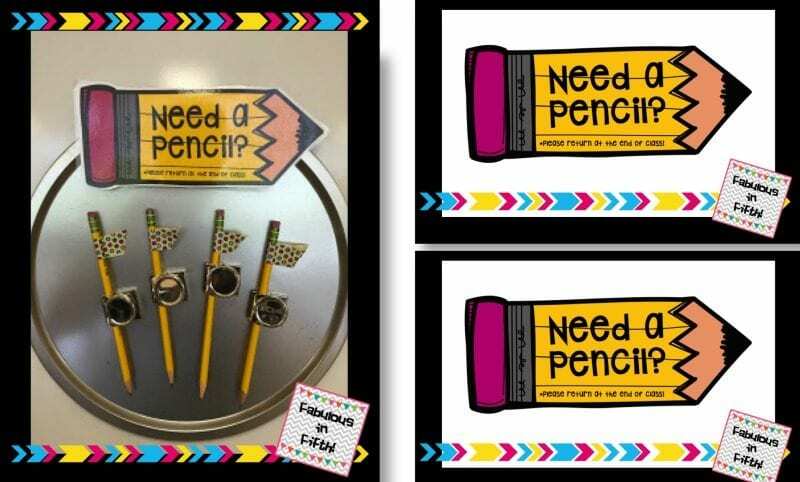 If students need a pencil, you can use this nifty tip (and get a free printable sign) from Fabulous in Fifth. The magnet board is just a cookie sheet. Then the magnets have clips on them, which easily hold pencils. 3. Encourage accountability by numbering pencils. Everyone gets a number; everyone knows their number. So if we find your pencil in the LEGO bin, you’re busted! 4. 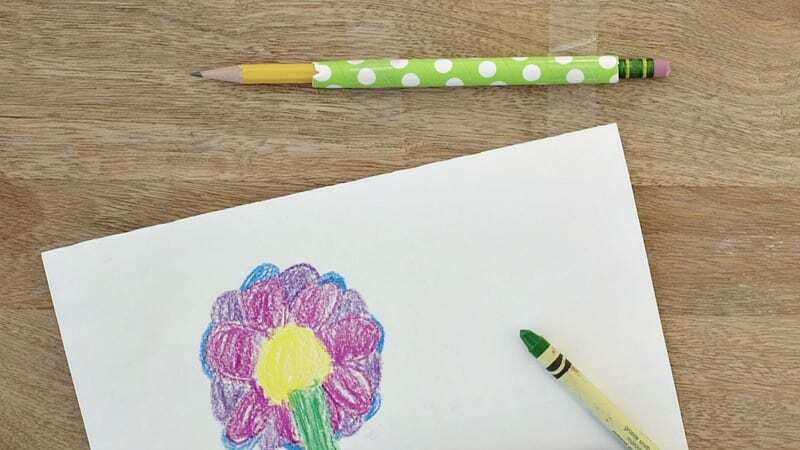 Use paper straws to give pencils a home. There’s no doubt about it—pencils often roll off desks. It just happens. To keep this from happening ALL THE TIME, we recommend taping paper straws onto the desks. The pencils will slide right in, and you don’t have to worry about them rolling everywhere. 5. 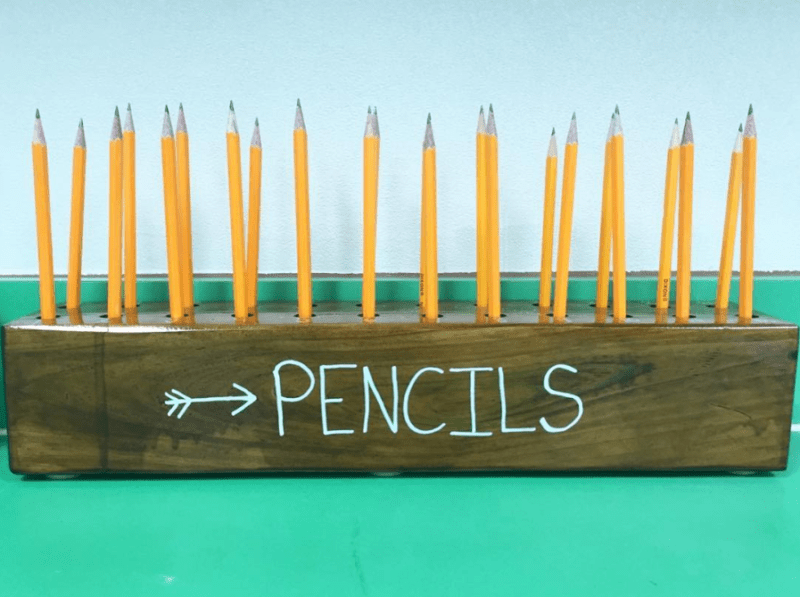 Try a different kind of pencil organization system. This is one of our favorite dollar store hacks . Simply repurpose a toothbrush holder into a pencil holder. 6. Try using a docking station. This approach is different than letting students be the keepers of their own pencils. Instead, there’s a central place where the pencils go each day. It’s simple—and to the point. 7. Use TP rolls for organizing. Here’s another idea that is very green and sustainable. Turn old toilet paper rolls into a pencil station. It’s quick and easy. Plus, students can help decorate them. 8. Cut down on the sharpening time. It’s just a fact that pencils often go missing when they’re not being used. 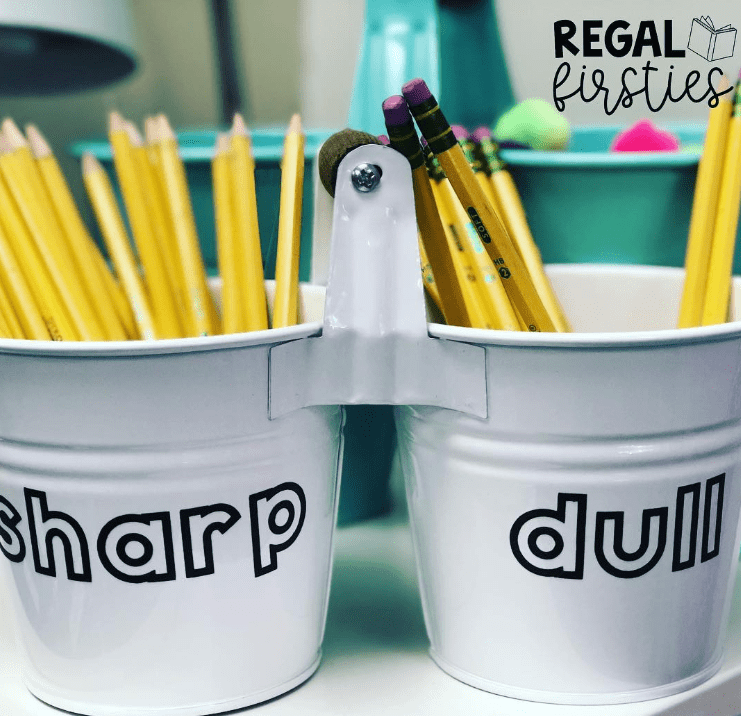 Try having separate buckets for pencils that need to be sharpened. Plus, you can make sharpening the pencils a student job, which will limit the number of times students get up to sharpen their pencils. 9. Print names on pencils. Have you tried printing on pencils? This will blow your students’ minds. And when you personalize the pencils by adding students’ names, the pencils will be a lot easier to track. Get full instructions for printing on pencils here. 10. Try a check-out system. 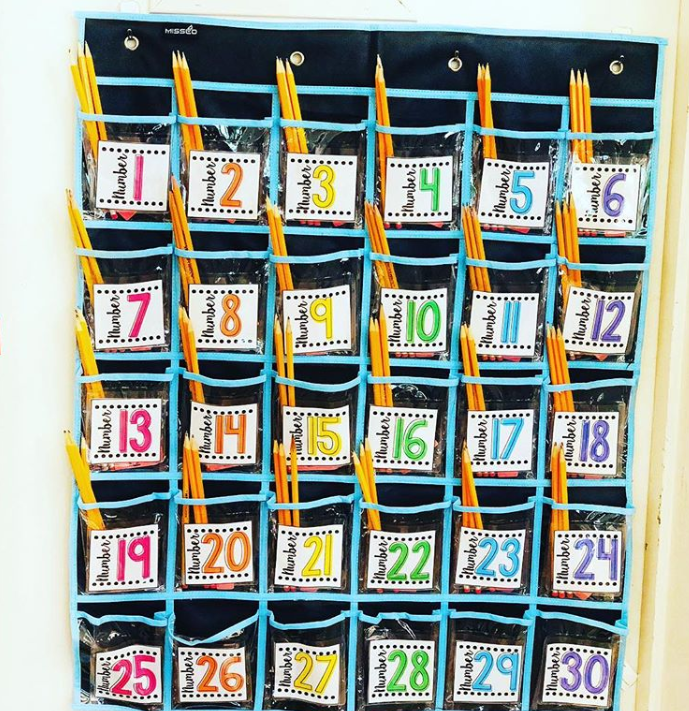 We like this idea for preventing disappearing pencils from The Teacher Crafter on Instagram because students have to check the pencils in and out. It encourages responsibility. 11. Put your pencils in pockets. Everyone has their own pocket, stocked with two or three pencils. When one breaks, all students have to do is grab another one. At the end of the day, each student makes sure they have sharp pencils ready to go for the next day. Love this colored tape dispenser! 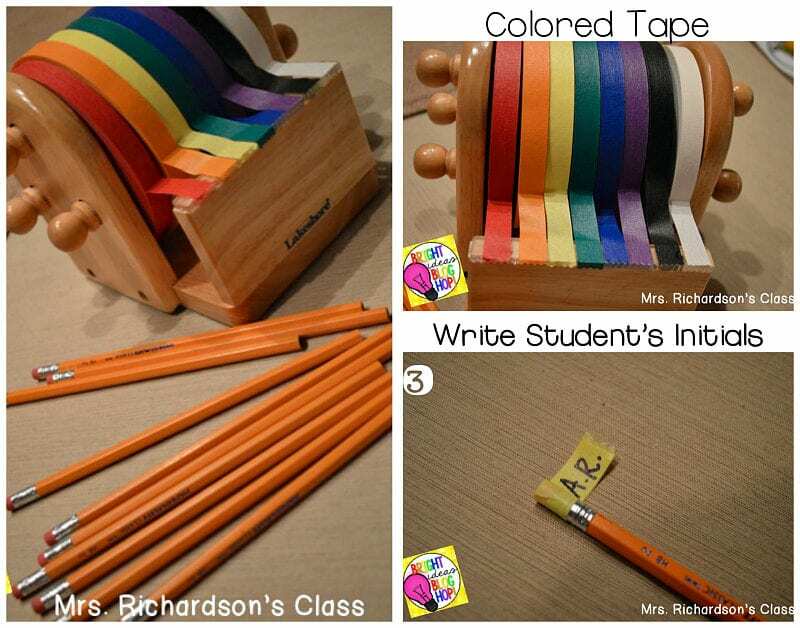 Students can pick their own color and wrap a piece around their pencil, marking it with their initials. 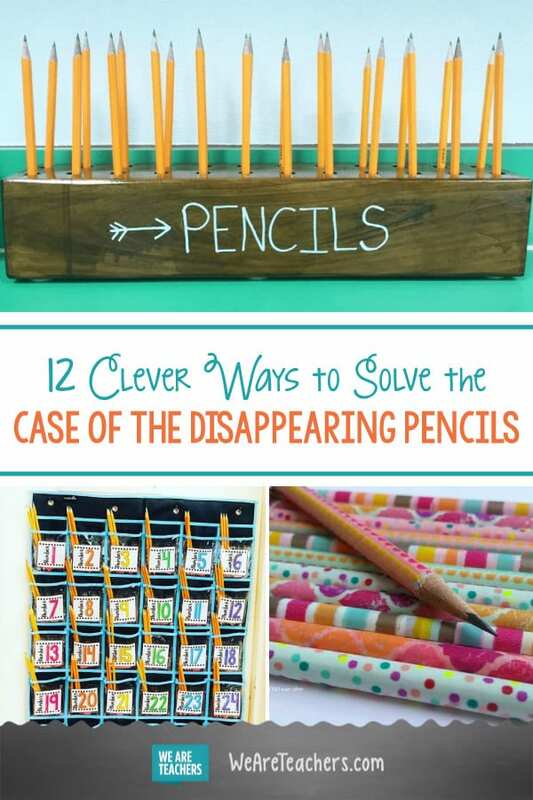 How do you handle disappearing pencils? Come share in our WeAreTeachers HELPLINE group on Facebook. Plus, get our free printable pencil alphabet.